Summers have set in and heading out to most destinations is going to be met with the same fate, the heat. The urge to travel is very much there but sometimes it’s good to leave the touristy stuff on the side and relax. That’s the void which Staycations fill in. When dreaming of travel and yet want to save up some money and time, staycations give the feeling in town. Relaxing and rolling around in a comfy bed, ordering room service, spa treatments and loads more leave you feeling fresh prepped up for your routine. Staycation Weekend! Ibis hyderabad recently opened its doors and what better way to kick-start 2017 weekends. Chef Punit, Akash and the entire team made sure the stay was impeccable. The beautiful decor in true ibis style reminded me of other ibis that I have stayed before. Memories etched for 2017:) Blogpost coming soon. Couple of weekends back we checked into IBIS HITEC, the newest property by Accor Group in the Hyderabad. A smooth check-in later, we were welcomed by chef’s special shahi tucked in the room. I’ve stayed in IBIS properties when travelling in Prague, Bangkok and loads more places around the world and have always loved them. I mostly choose IBIS for their efficiency and policy of 15 minutes to make your stay great if you have any issues. The room was equipped with the standard Flat Screen TV, AC and Wi-Fi. But what I loved the most is the location and proximity to most usual haunts in Hyderabad. Each of the IT companies are about 10-15 minutes from the IBIS Hitec property. If in the mood to shop then there is Shilparamam, an arts and crafts village. Ethnic Festivals, Traditional jewellery and sarees and handcrafted wooden and metal wares are some of the stuff which are sure to entice you in Shilparamam. Spice It at the Ibis Hotel offers a great selection in their buffet. There are also loads of food places to explore around Ibis. Madhapur nearby is packed with food-trucks post 11 PM serving great food. There are many restaurants around to indulge in your choice of cuisine in from Hyderabadi, Andhra, Italian, Mexican and many more. We managed to get up early and try their breakfast buffet. A huge variety of spread that offers both local and continental meal to start your day. The staff is so friendly that they make sure you are stuffed before you head out. I loved their live egg station and their dosa station. I thoroughly enjoyed my stay at the Ibis HiTEC. Their strength lies in their location and the great service they provide. Staycations are fun and with Ibis Hyderabad we had a great time. While leaving, they made sure we were up for the summer heat by gifting us a box of freshly cut fruits, vitamin water and chocolates. Well weekend spent after all. Thanks to Chef Punit, Angelo Martins and the entire staff for kickstarting our staycation for 2017. The city of the Nizams, the place that houses the elegant Charminar and the ‘Land of the Biryani’. 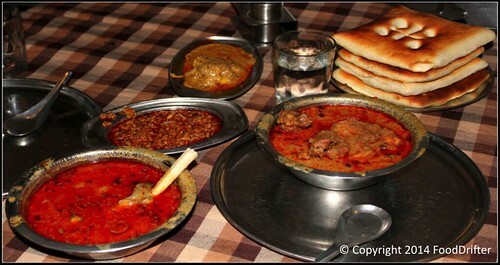 The mammoth food options we get around in Hyderabad is well known. 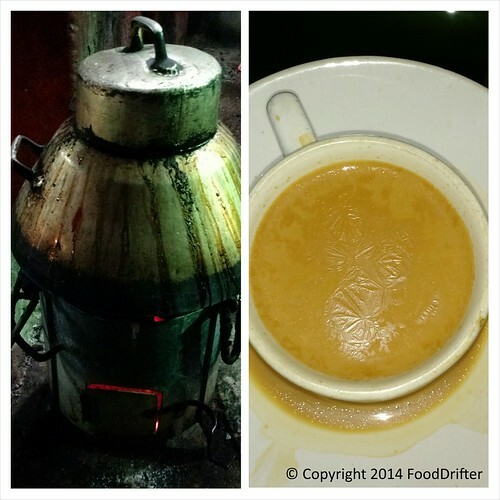 The best way to explore the Hyderabad Food in the city is to go local. Eat the dishes the locals eat, explore the hidden gems like never before and go street smart in terms of food. We decided to put together a list of the most iconic dishes, for a one day city tour of Hyderabad. Right from the breakfast to ending with a late-night post-dinner, the list is quite extensive. If ever to cover Hyderabad in one day, these are the routes that you should take to go along on a spectacular food journey. We list out the 15 must do things in Hyderabad to be covered in a day. 1. 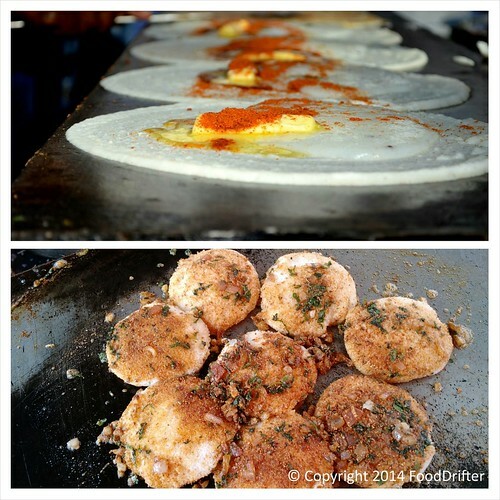 The Butter Dosa And Tawa Idli Bandis: Yes thelas elsewhere are known as Bandis With an insane amount of Butter, Cheese and Paneer going into making each Dosa, know that you’ve started on a gastronomic journey. Ohh, and did we forget to mention that the filling too is Ghee Upma. Stop counting the calories and feel that smooth, crisp Dosa melt in your mouth, that extremely butter pan-fried idlis infuse happiness with each bite. Find your way to Govind, Laxman, Pragati & Ram ki Bandi for the best dosa’s & Tawa Idli’s. To see the first hand action in making the Butter Dosas and Tawa Idlis, watch the video. 2. Paya, Nihari, Kheema: These breakfast dishes would be a sin if not indulged in the right way. Most of the iconic hotels like Shadab, Alpha start to serve breakfast options since early morning. A plate of Bheja Fry, Palak Gurda, Nihari and Paya can be quite fulfilling. 3. 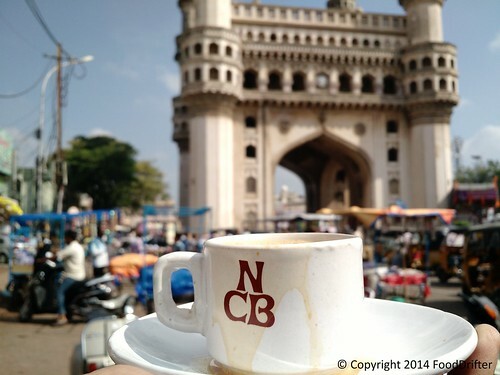 Irani Chai With Osmania & Tie Biscuits: To soak in the beauty of the Charminar early dawn with a cup of Irani Chai, overlooking all its splendidness is a must-do on the list. Many Irani Chai shops are located all over the city, but best had at the historic Nimrah Café right opposite the Charminar. Best enjoyed with Osmania and Tie Biscuits, dipped in and slurped. 4. 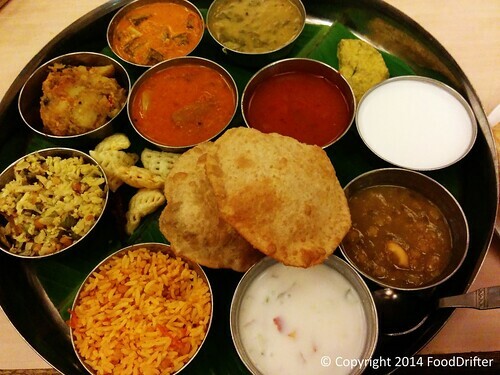 Andhra Thali: An afternoon can’t be the same without tasting the specialty Thali. Spicy, Tangy and Sweetness, all on one plate. The rest is up to you, if you wanting to slurp the rasam away to glory. The most authentic ones being the local messes like Kakatiya, Sri Kanya or Harsha Mess. 5. 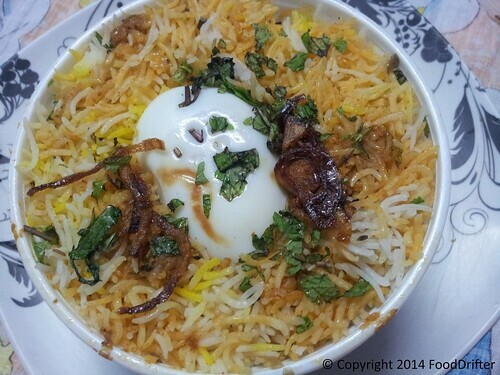 Hyderabadi Biryani: No day in Hyderabad is complete without Biryani. 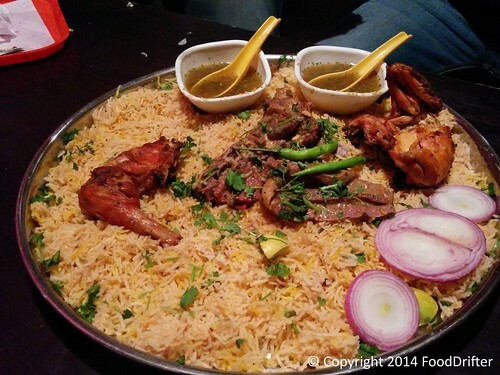 The quintessential Hyderabadi dish has had many a conversations and love affairs happen over a plate of Biryani. Bawarchi, Shadab, Café Bahar, Mohini, Sohail are to name a few the best places to entertain the taste buds to some authentic Biryani. 6. Dum ka Chai: With the sun almost setting, little is known about the Dum ka Chai than its famous counterpart Irani Chai. The Black Tea is put under heavy heat – dum before mixing with milk and being served. Head over to Café Iqbal in Goshamahal for a cup of Dum ka Chai. 7. 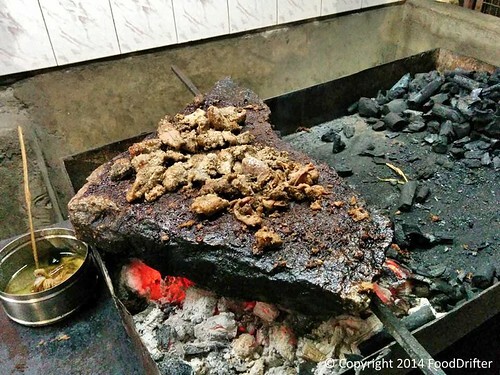 Pathar ka Gosht: its hard thinking that meat can be made over a hot stone like the ancient times. But this city sticks to the tradition of Mutton prepared over a slab of hot stone and the outcome is pure juicy sin. Head over to Dine Hill and Bade Miyan in Tankbund for savoring this dish. 9. 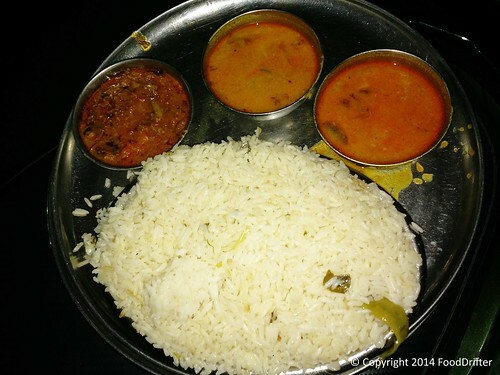 Bagara Rice with Dalcha and Khatti Dal: a part of almost every Hyderabadi household, these dishes are extremely hard to come by in hotels and restaurants. Nonetheless some of the oldest eateries still do have it on the menu like the Café Iqbal, Shadab, Sohail etc. 10. 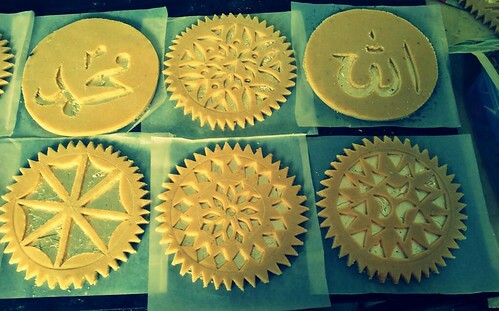 Qubani Ka Meetha and Kaddu Ka Kheer: No meal is complete without Desserts. Hyderabad doesn’t lack behind when it comes to dessert discoveries. The Qubani ka Meetha (Apricot soaked in Sugar Syrup and Nuts) and Kaddu ka Kheer (Bottle-Gourd Kheer) are some of the must haves. 11. 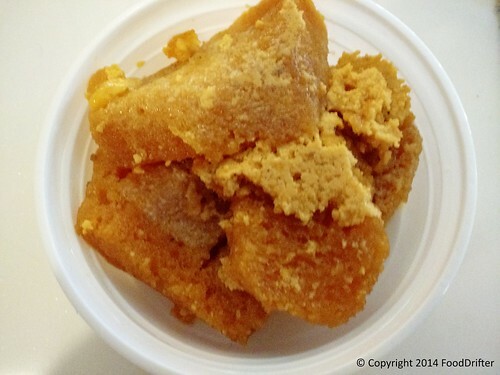 Double ka Meetha: To think the important status that this sweet enjoys after a meal is mind-boggling. A bread based sweet, a counterpart to the Shahi Tukda, it’s impossible to miss if going the traditional Hyderabadi way. 13. 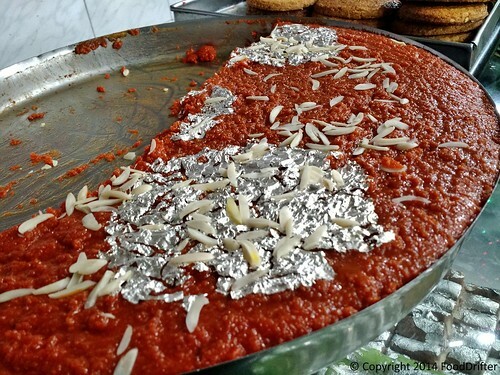 Jauzi ka Halwa: Right on the main junction of Nampally, you’ll find a small shop outlet in the name of Hameedi. Made with Jauzi (Nutmeg) and heavily laden with Ghee, the last Nizam had loved it so much that he sent a letter to name the shop after the nickname of one of his sons. 14. 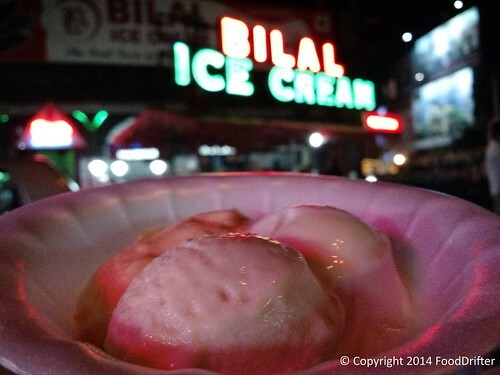 Famous And Bilal Ice Creams: Seasonal Fruits and along with it comes the seasonal Ice Creams. The oldest of the city’s dairies produce them freshly made from natural fruits and do make it a point to ask, what’s new on the menu miyan? 15. Mandi At Barkas: Barkas is an area completely cut-off from the main city. Known for it’s Persian and Yemenis population, they’ve combined both the food cultures together. A late night long drive and then settle over a huge plate of Laham or Faham Mandi at Mataam-Al-Arabi, Yum Yum Tree and the likes and you’ll be licking your fingers dry. Post 12 AM is the best time to head out to these place, once the late night hunger kicks in. The lineup covers the most iconic of dishes as seen through a local point of view. Hyderabad as a city has a lot more to offer when explored. But a walk down the lanes brimming with kebabs and Biryani and you sure are going to be beginning a journey, with lots of memories and more food journey to come back. If ever in the city during the holy month of Ramzan, when the entire city of Hyderabad is all decked up with festivities and a lot more, having to taste the Haleem should figure high on the list. The Iranians might have invented it, but Hyderabad is where it’s soul lies. Some of the city’s outlets too serve Haleem throughout the year, but most of the city folks swear by having it only during this month. There has always been this question of Buffet Vs À la carte popped a little too many times to us when asking for recommendations to eating out. We as Indians love a good spread. After all who doesn’t want to have that extra Gulab Jamun or an extra helping of that delicious chicken curry? Thus the major conundrum in taking the decision of sticking to a buffet or À la carte. When thinking as a group, Buffet does make for a better option. The safest bet to take when you don’t know everyone’s palettes or tastes. It’s each man for himself, stretch, stand and shove onto plates, the food items you love. But every time after a buffet I end up with a full stomach and not so satisfied meal, I know I should have stuck to the À la carte. When going for À la carte and ordering for myself at the table I know exactly what I want and which dishes I’d want to try and moreover how to want it. Sometimes it’s a good feeling knowing that the chef in the kitchen is going to pay that extra bit of attention to making and plating my order than the food in a buffet spread, left to dry and die. I don’t have to be getting up a number of times, to pick food for my plate. Just relax back and wait for the hot piping food from the kitchen to arrive directly onto my table and be served by the waiters. Economically viewing, buffets stand out quite ahead. Enjoying an unlimited array of food, laid out as you can refill anything and everything any number of times does make for a practical choice. But how many times have we at the end of the buffet realized that we never could try most of the dishes on offer? That almost everything to anything was passable at best. À la carte on the other hand, you might end up with a gratifying meal, but the bill at the end of the gastronomic journey is going to cost you. For people who dislike buffets and still have to go with a group, the next best thing is the Set Menu. You get to choose the dishes that you want to be served to the group from the menu for a set pricing and needn’t worry anymore as to having your food cold from the spread table. The waiters serve your orders at your table directly too. But this too can’t be as satisfying as an À la carte order considering that the chefs in the kitchen will have to be cooking for a gathering than a particular table. In all conclusion, it is a never ending decision to be made every time a party, a get together or a dining out has to be planned. Buffets are the way to go when eating out with a large gathering. 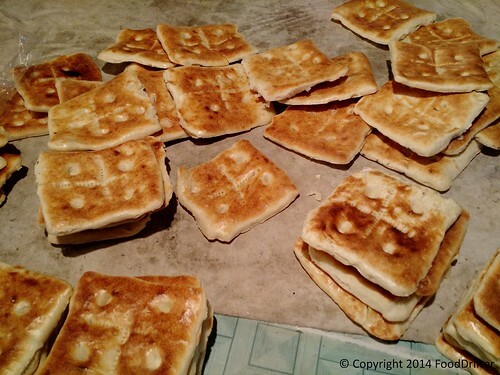 But when sticking to small company or individual, the À la carte is the pragmatic choice. It all really depends on the dining experience, the food you want to eat and what you want to tuck into that small pocket you call a stomach. Tata Starbucks, a joint venture between Tata Global Beverages and Starbucks Coffee Company has opened it’s first store in Hyderabad. After the launch in Chennai, the land of the filter Coffee, Tata Starbucks goes operational in it’s sixth city and 58th outlet in the land of the Irani and Dum ka Chai. The hype, the frenzy leading up till the launch has been crazy. The location was kept under wraps until the invites were sent out to a few selected people and bloggers. The online food forums were all abuzz, the comments featured that one word “Starbucks” in most of the conversations before the sign boards started to pop up over the city. The store is done up artistically beautiful neo-urban décor using the simplest of conceptual design. The store blends coffee with art in it’s elegant hand-polished woodwork. Being India’s first all natural-light store, it feels spacious with it’s two floor seating design. Going by it’s culture of amalgamating local heritage in their designs, Starbucks Hyderabad has wooden pearl hangings decorating the corners exhibiting that deft touch of the regionally inspired culture and furniture. The spacious and comfortable seating inside gives a break from the clamor of the traffic outside and the patio seating, creating a relaxed atmosphere for setting up the perfect conversations over coffee. The customary ribbon cutting done, people were ushered in with greetings of “Welcome to Starbucks Hyderabad”. The guests were given shots of the most popular coffees on the menu, while you could go over to the counter to order your choice or drinks and eats. A coffee tasting and brewing station was set up on the balcony upstairs for the invitees to understand the nuances of freshly brewed coffee. Ordering at Starbucks, you can choose between your Short/Tall/Grande/Venti coffee mug sizes. You are also given a choice between regular, nonfat and soy milk to get the perfect drink blended as per your preference. The Java Chip was our favorite Frappuccino of the day. The bittersweet Mocha Sauce with the delicate layer of chocolate chips and the coffee was the perfect brew of the evening. The green tea lovers can enjoy the much loved Green tea latte that is TATA TAZO tea special offered to the Indian Market. The best of the lot in the non-vegetarian food section was the Double Meat Club Sandwich, a humongous roasted lamb, chicken and sausages in parmesan tomato bread sandwich. It was cheesy and exquisitely filling with every bite. Vegetarians fret not, there is a lot options here at the Starbucks food counter. The Hummus and Pita Bread platter is the outstanding among all things vegetarian and is also completely vegan. As the evening progressed, people relaxed with a cuppa chatting up with friends soaking in the perfect Starbucks setup. The top 20 winners from the warmuptostarbucks.in campaign were gifted with reward membership cards. The swanky Starbucks store, the first of many, as it sets it’s expansion plans in the city of the Nizams is sure going to be the new rage in town. The person who uttered the wise words “There’s always something happening over a glass of beer” was right on so many levels. The feeling of having a glass of crisp, freshly-brewed beer in your hands, smashingly delicious finger food in front of you and conversations to get you going glass after glass is a feeling like no other. So what gets a Microbrewery culture going in Bangalore with many breweries being set up across the Garden City? It’s more of the experience, the combination of food with freshly crafted frothy liquid goldenness which makes it appetizing. The IT Capital is slowly turning out to be the unofficial Beer Capital of India what with thanks to various microbreweries. Here’s our look at the beer culture that Bangalore has revolutionized onto. Mad over beer lovers that we are, makes us want to do a trip down to this beautiful city just for the excuse of visiting the various breweries. Yes, the microbrewery uprising might have started out at The Biere Club which has very a good selection of fresh beers but we settle for two others which have become our regular favorite guzzling grounds. Toit – The moment you enter through Toit doors the atmosphere breathes energy and the music gets to your feet at the very instant. The microbrewery in Indiranagar boasts of a regular customer with us to be counted among them with more focus on their beers like first love. Interiors done in an English pub setting with a very good selection of rock numbers playing in the background this place has the most amazing craft beers. Six of the craft beers being the Dark Knight, Colonial Toit, Basmati Blonde, Toit Red, Tintin Toit and Toit Weiss being regulars on the menu they have seasonal flavors as well. 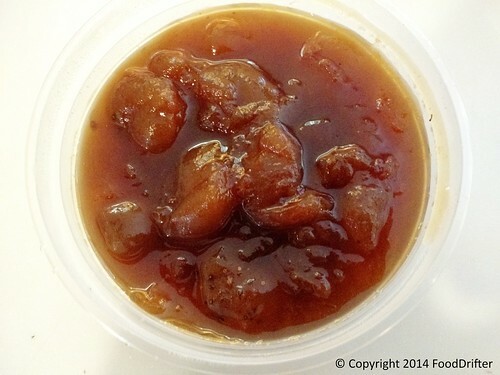 We loved the Litchi and Apple Cider ones the last time we visited from their festive menu. The best part is a visit to the Mocktails page which actually might give you a good laugh with quirky drinks like The G-String and Indian Doctor’s Prescription drinks on the menu. The food is least to be disappointed about with the Baked Mac and Cheese and Prawns on Fire being the absolute standouts. Our Picks: Colonial Toit, Tintin Toit, Toit Weiss, Apple Cider and the Hefeiweizen. Dark Knight with it’s black coffee flavors isn’t for everyone. Recommended to try the beer platter before settling for the best one as per tastes. Arbor Brewing Company – Old school wooden benches and light bulbs overhanging and the lovely sound of beer fizz as it escapes the tall glass. What more could Beer Aficionados ask for? Overlooking the Garuda Mall in bustling Brigade Road, ABC Brewpub, the Indian cousin of the famous Arbor Brewpub in Ann Arbor can be a bit hard to find if going the first time. It’s on the 3rd floor of the complex and as soon as you enter and notice the huge vats of beer being brewed, you know you stepped into Beer Heaven. It’s India’s first American Craft brewery with the concept of pairing food and beer together. Having up to eight regular flavors on the menu with other beautifully crafted varietals being a regular, it boasts of a beer menu like no other. The Food Menu is also vast as the beer selections. The Spicy Fried Calamari and Flaming Chicken Wings are not to be missed. The other notable Beer places around town are Prost Brewpub, Barleyz and Windmills Craftworks. Reservation is a must on weekends for most of the breweries. So before we do end up with a case Cenosillicaphobia, let’s be ordering another round of drinks for our tables and there’s the “Cheers”. Drink responsibly and do give share some gyaan once a bit high with your fellow mates.